We have a convenient, fully-stocked, in-house pharmacy! 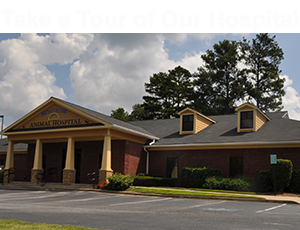 Montrose Animal Hospital and Pet Hotel has a fully stocked, in-house pharmacy in order to treat your pet with the latest veterinary medications. Our in-house pharmacy has a wide range of medications that support wellness care, critical care, surgical care, nutritional care, and emergency situations. We carry the safest flea, tick, and heartworm preventives skin and coat care products, nutritional supplements, prescription diet food, and dental care products. Provides our staff with the ability to discuss dosing instructions and/or possible product interactions and any potential side effects with you. You can rely on Montrose Animal Hospital and Pet Hotel for all of your pet’s veterinary pharmaceutical and product needs! Please call us today if you need a refill of your dog or cat’s prescription.